 A spectacular, bold and bombastic performance, the students of Holt High School took on a musical that not only lived the life of the snazzy 1960's, but also racial tension and equality. This was an honest step away from the more traditional romantic comedies (Anything Goes, Pajama Game) to break new grounds and show how a cast could put on an unforgettable and outstanding performance. With Erin Umpstead taking the wheel as the new Musical Director, as well as bringing the musical over to a fall-premiere, everyone had the opportunity to "turn over a new leaf" and dance to the sound of the beat!